Within recent years, All Years Leaving has offered Midlands-based gig-goers much needed sanctuary from the elements as they prepare to hunker down against the inevitable grinding weather of late October with two days of incredible live music. Avid readers of Counteract will be more than familiar with This is Tmrw. They have developed a fearsome reputation for promoting some of the most exciting live music events that our fine city has to offer, fostering local talent whilst simultaneously wooing some of the strongest independent musicians on the UK touring circuit at any given time and encouraging them to stop off in Birmingham. 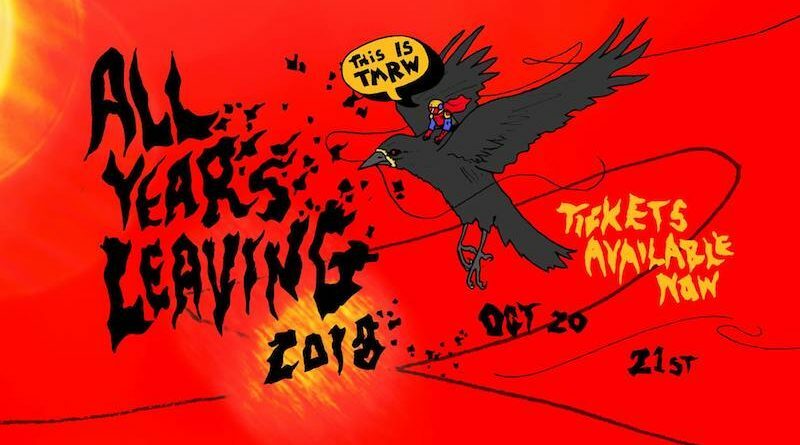 This year’s All Years Leaving features a strong wave of rapidly growing new acts, including The Orielles and Dream Wife, Saturday and Sunday headliners respectively, alongside the likes of Speedy Ortiz, Menace Beach, Goat Girl and Warmduscher. It wouldn’t be a This Is Tmrw event without a sprinkling of local talent either, this time The Hungry Ghosts fly the flag on the main billing. Further local acts are TBA in the stables. The event’s reputation and popularity has grown steadily over years, reaching fever pitch when this year’s hotly anticipated event sold out of weekend passes long before the final line up had been released. Day tickets however, are still available from all good outlets priced at a very reasonable £16 + booking fees. Grab them whilst you still can. You can find the line up for each day of the latest instalment of AYL below. An avid follower of the Birmingham music scene who enjoys strong black coffee, and staring at pictures of cats on the internet.